It is impossible to stress how important it is for you to backup your files on a regular basis. if you choose not to back up your own files, you risk losing important data.Backups are one of the basic necessity in any organisation but seldom done the right way. The thought of setting up backups might create a mental barrier for many. For those who want to make the task of backing up easy, you can make us of this article. Backups are needed and not limited to the below reasons. There are numerous way to implement backup strategy. It all depends upon your requirement. Consider we are a small company where our production application runs on a single cloud VPS. Let us assume we are running a LAMP stack in the VPS. Since we have only one server running, we need to find a reliable and cost efficient solution to backup our data in case of aforesaid scenarios. We will use the backup data only when needed and not frequently. 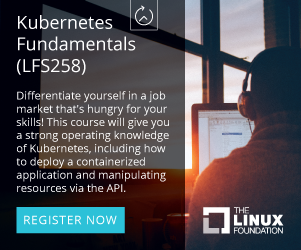 One way of meeting the above requirement is by using Duplicity and AWS S3. Duplicity is a python based shell application that creates incremental, encrypted backups. “Incremental” means that each backup only stores data that has changed since the last backup run. This saves a lot of storage space. “AWS S3” is the storage service provided by Amazon. Duplicity supports connecting to various backends like ftp,rsync, scp,ssh,Google Cloud Storage, AWS S3, Openstack Swift etc. It is not mandatory to use S3 as a backend. You can choose any of the supported Duplicity backends based upon your requirement. You can compare various cloud storage providers and select one of your choice. But in this article we will be implementing storage option using S3. So we have decided the tool with which we will perform the backup and the storage option. Let’s get our hands dirty and see how we can implement this. 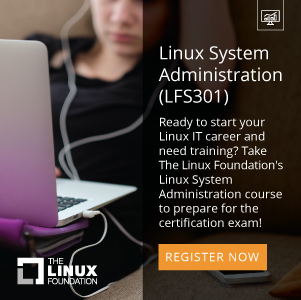 Following steps are for Ubuntu distribution. You can modify the installation commands as per the distribution you are using. If you want to install duplicity from source, then follow the below steps. ‘0.7.06’ is the latest tarball version available as of I’m writing this article. We can complete the actual installation with the following command. We will be using a wrapper script to work with duplicity. The wrapper script makes uses of s3cmd. So lets install that as well. In simple terms, Amazon Web Services (AWS) is a secure cloud services platform. The services include EC2 (Elastic Cloud Compute), S3 ( Simple Storage Service), RDS (Relational Database Service) and many more. 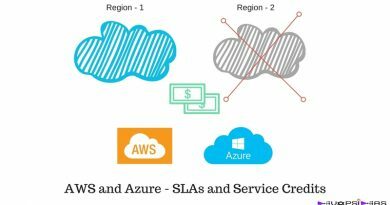 You can refer to AWS website on the various services that they offer. It is not recommended to use your root account for managing your services in AWS. In fact it is recommended to delete the API credentials of the root account. You can instead create a new user and then assign admin privileges to that user for managing the services instead of using the root account. In our example, let us create an IAM user, named “backup-user” using IAM ( Identity and Access Management). We need to generate API keys for this id, which we will use in duplicity to connect to the S3 bucket through API call. The API key consist of Access and Secret Key. You can view the Secret Keys only at the time of creating it.You will not have access to the secret access keys again. You can follow the steps provided in create IAM user to complete the things said above. Let us create S3 bucket now. You can follow the steps provided in create s3 bucket for creating a bucket. Let us consider the name of the bucket to be ‘backup-bucket‘. We have created an IAM user ‘backup-user’. But we are yet to define what action that user can perform. This can be done by attaching a policy to that user . There are various predefined policies that are available in the policy list. For eg AdministratorAccess, AmazonS3ReadOnlyAccess, AmazonS3FullAccess etc. But our scenario is such that the ‘backup-user’ will be used only by duplicity to store the backup data. So we do not need full access to Amazon S3. In fact it is enough if we provide access only to ‘backup-bucket’ for just to put,get and delete objects. In order to achieve this, we need to create a custom policy. We will be using the following policy. After creating the policy, you need to attach this policy to ‘backup-user’. Only then the user will be able to access the bucket as that user. Duplicity supports asymmetric public-key encryption, or symmetric password-only encryption.. This means using a simple password which is fine in most cases. But we will be using GPG asymmetric public-key for extra security and encryption. The commands will store our keys in a hidden directory at /root/.gnupg if you are running as root user. Press enter to accept the default “RSA and RSA” keys. Press enter twice again to accept the default keysize and no expiration date. Next, you will be setting up a passphrase to use with GPG. Make note of the passphrase. This means your server does not have enough randomness to create the keys. In such case you can run some command in a new terminal which generates lot of activity. For eg, you can run the below command. Important: Remember to backup your GPG key pair somewhere safe and off the current machine. Without this key pair your backups are totally useless to you, so if you lose it and need to restore a backup then you will not be able to do it. Follow the steps provided in Backing up GPG Key in order to backup your keys. The above command will export the public and private key. You can email these files by using utility like mutt, swaks etc. If you ever have to import the keys in a different server, then you can follow the below steps. It is not enough if you just import the key files in a different server. You need to trust the key file. Follow the below command to trust a gpg key. Replace ‘backup’ with the name of your key. Above command will get you to gpg prompt. Type ‘trust’ and press enter. Then type ‘5’ to trust ultimately and press enter. You can refer the below snippet. So we have installed duplicity and its prerequisites, we have created S3 bucket and provided access to the bucket and we have created GPG Keys required for encrypting our backup data. Though we have all the things ready for our backup setup, we need to analyse our requirement and implement duplicity settings based on that. We will not be accessing the backed up data frequently. 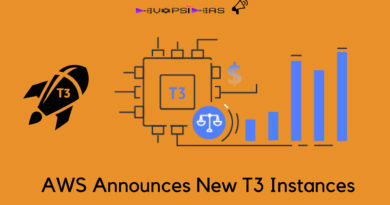 The Infrequent Access (IA) storage option provided by Amazon S3 offers low pricing for storage and more for retrieving the data compared to Standard storage class. The IA was specifically introduced for storing infrequently accessed data. This satisfies our requirement and we will be using IA as the storage class. Since we have different life cycle policy for DB and other miscellaneous data (/var/www, /var/log) we will create two folder’s underneath backup-bucket which we created earlier. Let us name the folder as ‘DB-backup’ for storing DB backup data and ‘Misc-backup’ for storing other miscellaneous backup data. Notice, I did not zip the database dump files locally. This is needed because, duplicity will not be able to take an incremental backup if the files are zipped. If you zip the dump files, then you’ll see a reverse effect of duplicity taking a new copy of the dump files instead of incremental backup every time your run it. If you have git installed in your server, you can clone the repository by running. Or you can download the zip file directly and then copy it to the server. Once you clone/unzip the repo in your server, you can see a list of files inside the directory name duplicity-backup. We will be creating two separate configuration file for DB and Misc backup. This is because we have to specify different lifecycle policy for each backup. We will be configuring few parameter inside duplicity-backup.conf. 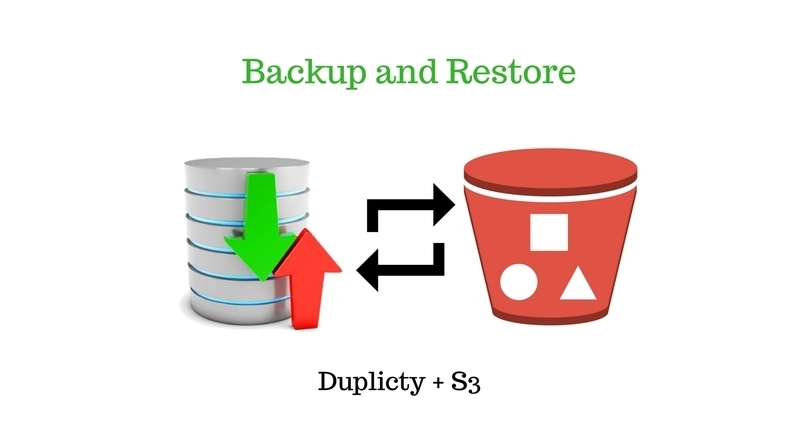 Create two copies of duplicity-backup.conf.example and name it ‘db-duplicity-backup.conf’ and ‘misc-duplicity-backup.conf’. Consider we are configuring the option for ‘misc-duplicity-backup.conf’. Below is the list of options that we are interested in. The INCLIST indicate what are the directories that should be backed up. In the case of db-duplicity-backup.conf it should be “/var/backup/mysql_backup” since that is where db_dump.sh will dump the files. The value “–full-if-older-than 15D –s3-use-new-style” indicates that it’ll generate full backup every 15 days. The “remove-all-but-n-full” value indicates how many full backups should be kept at any point of time. The value of 2 indicates that it’ll keep 2 full backup’s and remove the full and corresponding incremental backups older than the last 2 full backups. In this way we maintain 15 days of backup at any point in time for Misc backup. By keeping the value of CLEAN_UP_VARIABLE as 6, we are able to retain 60 days of backup. You need to note that, the incremental backup will be of no use if the corresponding full backup is deleted. This is because the incremental backup is chained to its corresponding full backup. Note: The “–s3-use-ia” value works only in duplicity version 0.7.06 which is the latest and greatest as of now. We have placed all our scripts and configuration files under /root/duplicity. Below command will backup our Miscellaneous data to S3. The -c flag denotes the configuration file to be used. -b flag indicates that we are taking incremental backup. For the very first time -b option will be taking a full backup since there is no prior data. From the second run, it will start to take only incremental backup. If you get any error, you can refer the logs under ‘/var/log/duplicity’ which is the value given for LOGDIR in the configuration file. You can see the usage of duplicity-backup.sh script by just running the script without any flags. Note: During test run, just add a sample test directory in the INCLIST instead of the original directories to backup in order to save time and money. By default the script will upload data in parts if the size exceeds 25 MB. Hence you’ll see naming like vol1, vol2 etc for the difftar files. Let us create a single script to combine the steps of mysqldump and duplicity backup for DB. Under /root/duplicity, create a script mysql-duplicity-backup.sh with the below content. The script will run the duplicity script only if the mysql dump completes without any error. Else it’ll send a mail with the error report on the mysql dump failure and exit the script. This way we can be sure that the DB backup is uploaded only during successful execution of the dump. If the cron job executes successfully, you’ll be receiving two mails. One for DB and the other for Misc Backup. We have successfully completed implementing our backup plan. Next, let us see how we can restore the backed up data. The restoration process is fairly simple in duplicity. We make it even easier using our wrapper script. If you are restoring it in a different server, then you need to have the GPG keys which you used for encrypting the data. # You can also provide a restore folder on the command line. We have successfully implemented our backup and restore solution using Duplicity and Amazon S3.